We have grown up in a culture that is full of death, sexual confusion, immorality, and fatherlessness. This culture of death consists of abortion, homosexuality and suicide. 1/3 of our generation has been wiped out due to abortion, the murder of innocent babies. Over 25 million people have died as a result of AIDS. More young people die from suicide than from cancer, heart disease, AIDS, birth defects, stroke, pneumonia, influenza, and chronic lung disease, combined. Like the prodigal son, we have been handed a bill of goods that has completely destroyed us. In our nation, we have chosen death and received the curse. Leave behind the darkness, deception and despair. We are a fatherless and lawless generation searching for identity. Meanwhile, our heavenly Father is standing with arms wide open, beckoning to us to return to Him through the good news of the Gospel of the Kingdom of our Lord and Savior, Jesus Christ. If you're going through depression, there is hope in Christ. If you're battling disease, there is healing in Christ. If you're contemplating suicide or abortion, there is abundant life found in Christ. It’s time for my generation to wake up. It is time leave our sin, unbelief, rebellion, and lust behind. Let's make a journey of saving faith back to the Father's house. It is there and there only that we will find light, love, and life through Jesus Christ, our Lord. It’s time to wake up and stand against the evil in our day. There’s a battle to fight and souls to save. My sincere prayer is that you will be reconciled to the Lord through the merits of Jesus Christ. May God's Kingdom come and His Will be done on earth as it is in heaven in Jesus' name! I don't deserve your healing, but Lord, You will always deserve my praise. Your BREATH in my lungs and Your SONG on my tongue. Lord, I consecrate myself to the full advancement of the Kingdom of God! Lord, I love You and I can't wait to see You face to face. Amen. 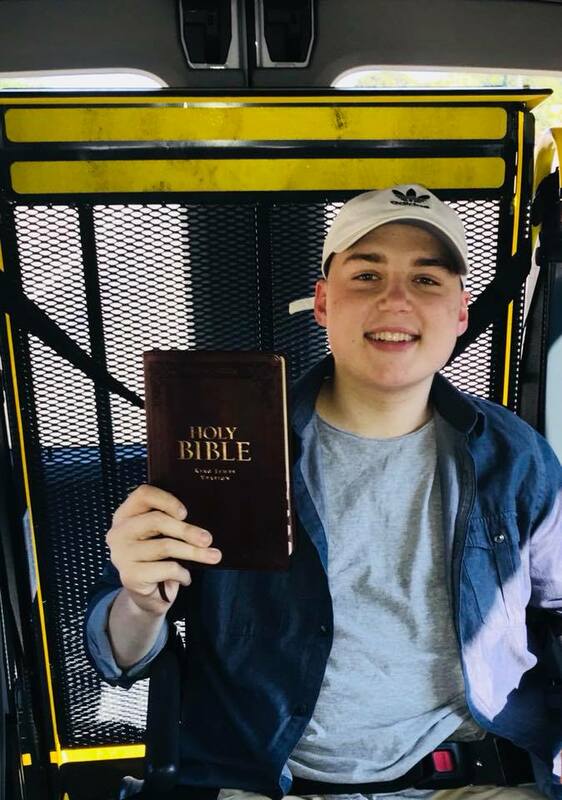 On March 24th, 2018, 16-year-old Jeremiah Thomas' life changed forever. After going to the doctor to check out what he thought was a broken rib from football, they ran a series of tests and said a word he had never dreamed of hearing: Cancer. What started as bone cancer quickly spread throughout his entire body. After 3 months and hundreds of thousands of dollars worth of treatment, the doctors told him there was nothing more that they could do to save him. In the prime of his life and athleticism, Jeremiah lost his ability to walk. Jeremiah's response: "Well then, now I'll just preach from my wheelchair!!" 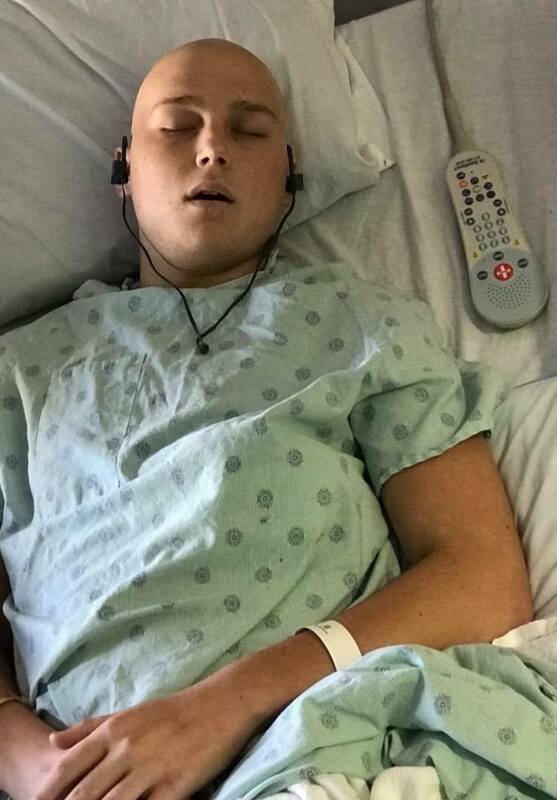 His friends and family began rallying around him to support, using the hashtags #FightWeShall, #GodsGotThis, #PrayForJeremiah, #GoingBaldForJeremiah and #JeremiahStrong on social media with posts telling his story, how he has impacted people, and selling shirts and wristbands and other things to raise money to help his family pay the mounting medical bills. God has used this tragedy in Jeremiah's life to impact thousands of people. Jeremiah's example of endurance through suffering has inspired people throughout the world to walk more closely with Christ. And through this time of great pain, God has given Jeremiah a platform to preach in a louder voice than he could ever have hoped for. 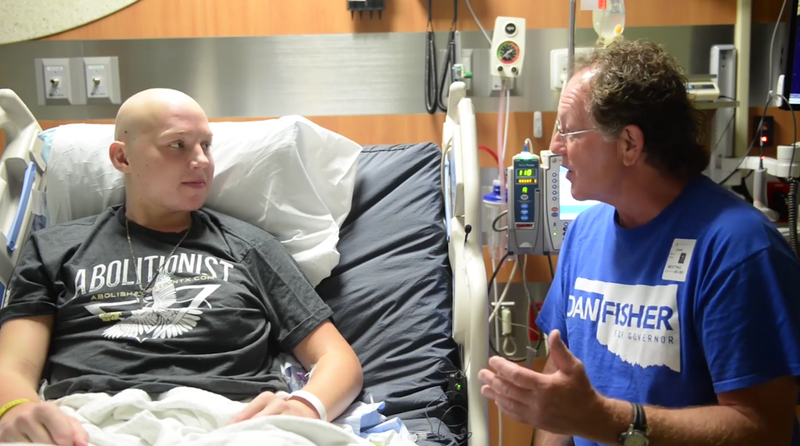 The Make-A-Wish Foundation grants terminal cancer patients to make one wish for anything they want. But the strange thing for Jeremiah was that every time he would think of a wish he wanted to ask for, it would come through without him asking for it. 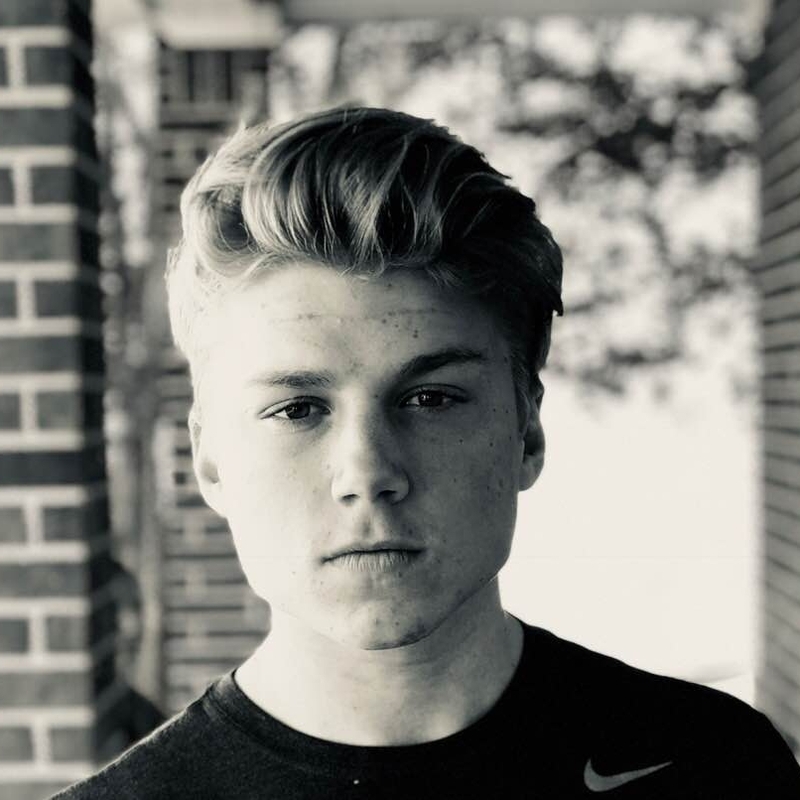 Through his story spreading on social media, he has gotten to talk to many of his heroes like Tim Tebow over the phone, and has even received private concerts from famous musicians like Bart Millard and Natalie Grant. His new "FIGHT" shirt was sent to him directly from his favorite football player, Sean Lee. As he thought more about what he wanted, he started considering his legacy. If he could leave behind one thing as his dying wish, what would it be? The abolition of abortion in his state of Texas. He didn't realize at the time that Make-A-Wish limits wishes to not involve political requests, but word had already spread all the way to the Texas governor's wife and she arranged for them to have a phone meeting. In that meeting, governor Abbott vowed to completely abolish abortion in the state and fulfill Jeremiah's wish. Since then, the news story has spread like wildfire and Jeremiah has received all sorts of hateful attacks, including death wishes. But Jeremiah has responded with love and grace, wishing only for his attackers to know the light of the Gospel that can be found thorough Jesus Christ. Jeremiah also got to sit down at length for an interview with Oklahoma gubernatorial candidate Dan Fisher to discuss what he really wants to see regarding the abolition of abortion. When the doctors sent Jeremiah home for the last time, he knew he had to get to work. He felt compelled to share a Call to his generation to plead with them to come back to God and be restored to the Father. God orchestrated all the pieces coming together for him to share his call in both letter and video form with millions of people. At Jeremiah's weakest point in life, God has given him a tremendous platform to plead for the soul of his generation. He has continued to fight faithfully, preaching regularly at the local abortion clinic and being asked to speak at local churches. To see the full version, which includes his testimony, view it below. People have risen up in various ways to help support the Thomas family in this time. 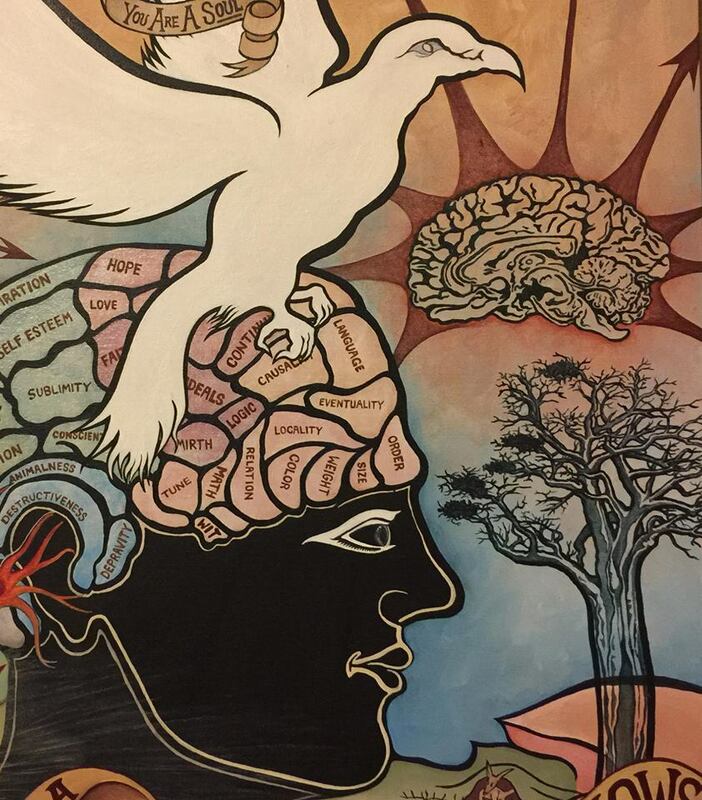 Various individuals have been selling and auctioning all sorts of things from t-shirts to bracelets to art to help raise funds to cover his medical bills. 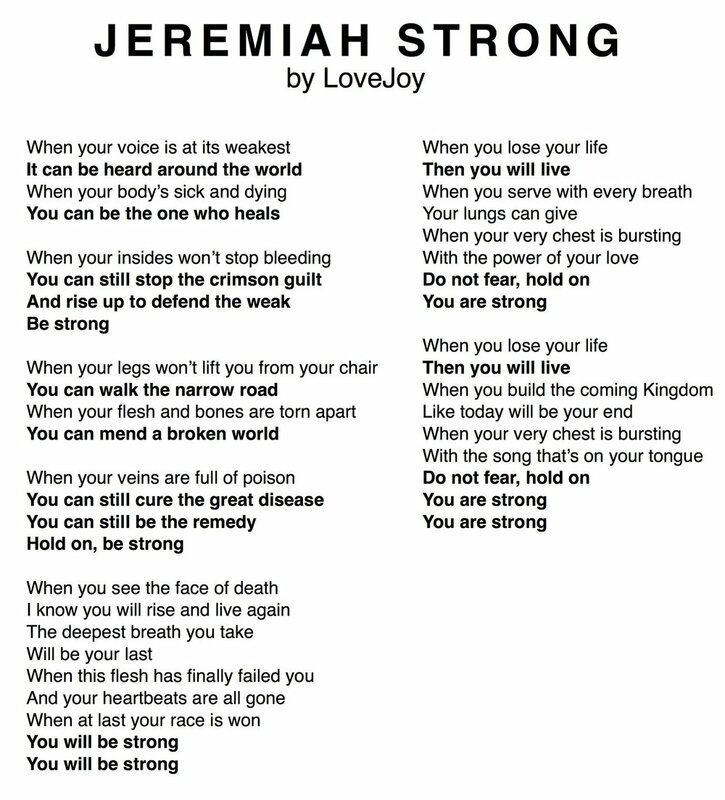 Abolitionist musician LoveJoy even wrote a song called "Jeremiah Strong" to summarize his journey through cancer, which is free to download if you click here with a requested $5 donation to the Thomas family's GoFundMe page. Videographer Luke Cypert helped capture Jeremiah's Call (long and short versions), as well as several interviews with Jeremiah, Rusty, and Kendra Thomas. The Thomases have built up enormous medical bills to give Jeremiah the best quality of life and chance of survival. Those bills have amounted to over $500,000, an unbelievable amount for one family to have to shoulder alone. Through their GoFundMe page, thousands of people have already contributed a huge amount: over $120,000 has been given to the family to help in this time of need. But they still need a lot of help to pay the remaining debt. Please prayerfully consider giving to this family to help pay their remaining debt. Either donate on their GoFundMe page (which takes a fee out of every donation), or send a message to this site to receive more information about giving to them directly. Share this website, JeremiahStrong.com, with your friends, family, and church groups to help get Jeremiah's Story and Call out to his generation. Find shareable versions of the videos on Facebook at the Jeremiah Strong Facebook page. How Has Jeremiah Impacted You? To share your story of Jeremiah's impact with the Thomas family, as well as to contact them about meeting their needs or more direct ways to give and serve, please fill out this form and we will put you in touch with them. Thank you! We will share your message with the Thomas family!